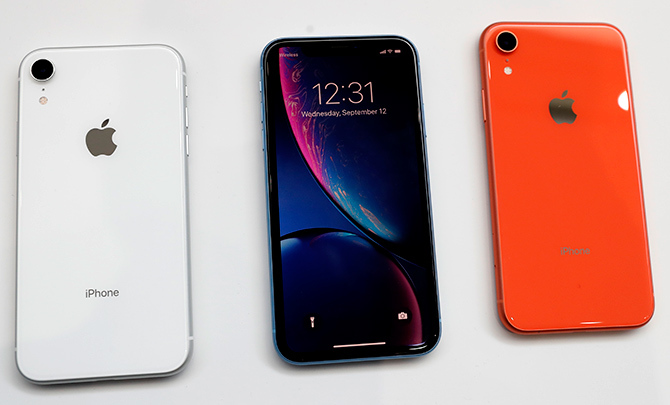 Rediff.com » Business » Will iPhone XR manage to revive Apple's fortune in India? Will iPhone XR manage to revive Apple's fortune in India? Leading consumer tech firm Apple unveiled three iPhone models on Wednesday at 10.30 pm IST. Known for its constant efforts at achieving technological superiority in the smartphone space, the US giant’s journey, however, may not be smooth ahead. As costlier offers, high import duties and a realignment of its business and distribution continue to dent iPhone sales in India in 2018, Apple’s new bet - iPhone XR - for a price-sensitive consumer base could be a decider of its fate ahead in the second-largest smartphone market. Shedding its earlier approach of coming up with cheaper models for markets like India, which continues to stretch Apple’s adaptability and test its perseverance to crack a price-sensitive market, Apple this time focused on what it is good at: Technological superiority. As the smartphone ecosystem gets crowded with scores of mobile applications that forces handsets to multitask almost all the time, increasing processor speed is a prime concern for all handset makers. Apple addressed the issue with its cutting-edge A12 Bionic chip, which can process 5 trillion transactions per second - 10 times what the last used chip A11 (used in the costly iPhone X) could. Other innovations, like the neutral engine, single-lens wide-angle camera, and all-screen design made of aluminum and glass, remain up to the mark. However, the concern remains when it comes to a market like India, where it has faced bumps on every step it has taken in recent times. Sales have dipped below 1 million units during the April-June quarter - taking its share in the above Rs 30,000 price segment to below 14 per cent for the first time in recent years, the data from Counterpoint Research shows. In the previous quarter, iPhone sales remained nine percent lower than last year. During the last festive season quarter - October-December, 2017 – iPhone sales in India fell year on year by 9 per cent to 810,000 units from 890,000. While, during the calendar year 2017 iPhone shipment surged by 23 per cent to 3.2 million units from 2.6 million in 2016, two rounds of duty hikes on fully imported handsets between December and February, has pushed prices further up. Apple India announced price hikes earlier this year. Counterpoint predicted, Apple will sell 2.4 million units in 2018 in India - lower than its 2016 numbers. This time, Apple placed a price tag of Rs 76,900 for its cheaper version - iPhone XR 64 GB - for India market. The price remains significantly higher (up by 24 per cent) than last year’s iPhone 8 base model. 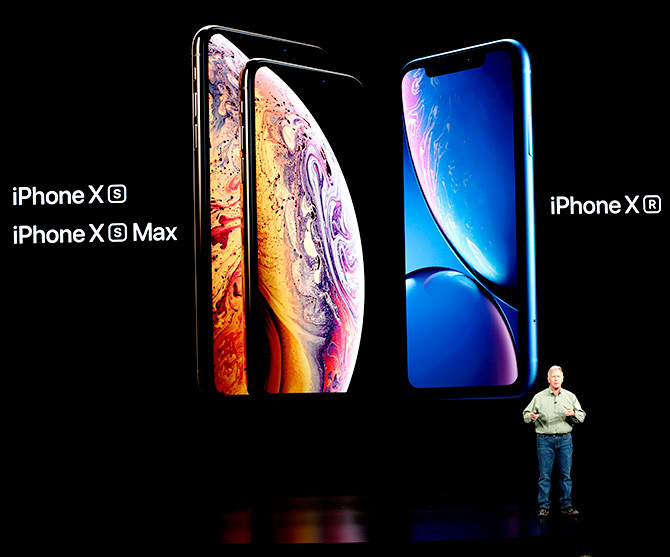 For iPhone XS and XS Max the prices are even higher - starting at Rs 99,000 and Rs 109,000, respectively. The company, unlike earlier, now has only two distributors on board - Redington and Rashi Peripherals. Three of its offline distributors - Ingram Micro, Brightstar and HCL Infosystems - have parted ways recently. Rather it is now focusing on developing a dedicated online marketplace for Apple products in India - sources said. The move comes after several of its failed attempts to persuade the government in allowing Apple to set up its branded stores without meeting the 30 per cent local sourcing criteria. Since last year, it has increased the local manufacturing. Currently it sources two of its older models - iPhone SE and iPhone 6S - in India. And in process to increase the horizon by adding more models in the list. But at the middle of Apple’s falling sales and shrinking market share, globally as well as in India, the fate of the three iPhones - iPhone XS, XS Max and XR - remains hanging.